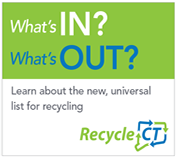 To support Connecticut recycling efforts, RecycleCT has resources available to help educators, municipalities and recycling companies inform their communities on the state’s universal, residential recycling guidelines. 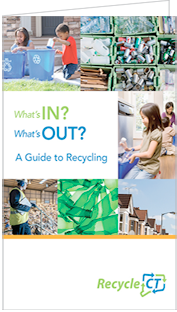 The materials can be easily downloaded with specific collateral pieces having areas for organization name, address, phone number and website address customization. 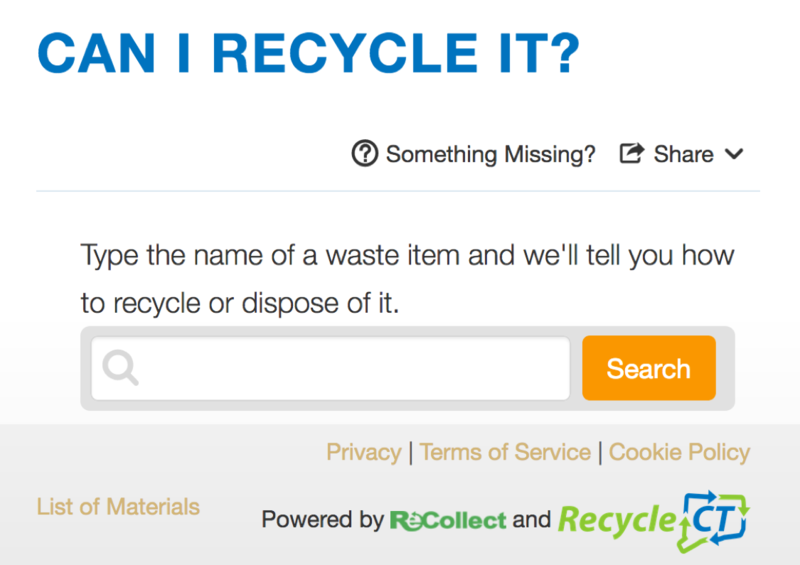 You can now embed our RecycleCT wizard on your company’s website! 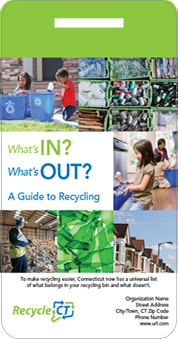 It’s a great resource for your residents, customers and community. 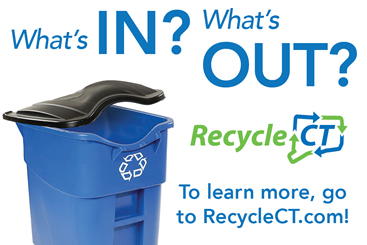 For more information on how to use the RecycleCT wizard on your site, please email Sherill Baldwin at Sherill.Baldwin@ct.gov. 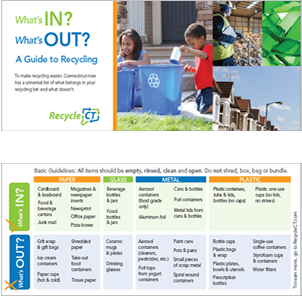 All the recycling information that your customers need on one sheet. Can easily be customized and printed from any printer. Limited customizable area located at the bottom of the flyer. 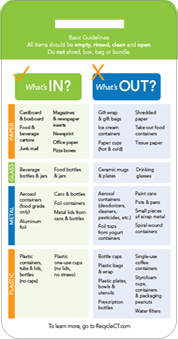 This two-sided flyer is the perfect size to slip into an envelope with your company’s invoice. These items require special printing instructions. Click here to download the instructions. 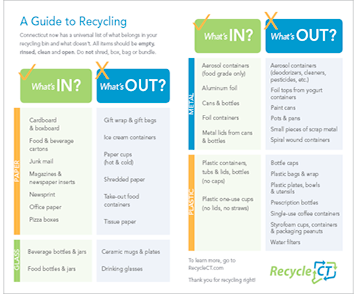 Place this helpful ‘Guide to Recycling’ sticker right on your customers’ recycling bins. 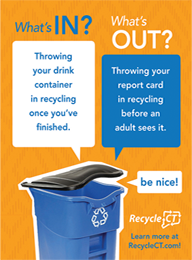 Place this hang tag on your customers’ recycling bins. 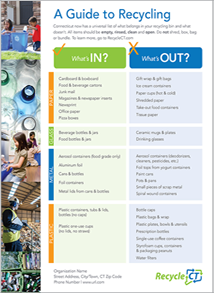 Customizable with your company’s information. Customizable area located at the bottom of the front side. 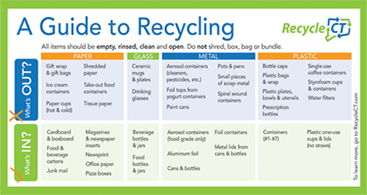 This magnet is a great way to remind your customers to recycle! These web banners can be placed on a municipality website and linked to RecycleCT.com. 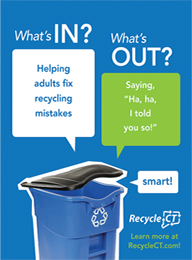 These posters can be hung in local schools to get kids excited about recycling the right way from a young age.